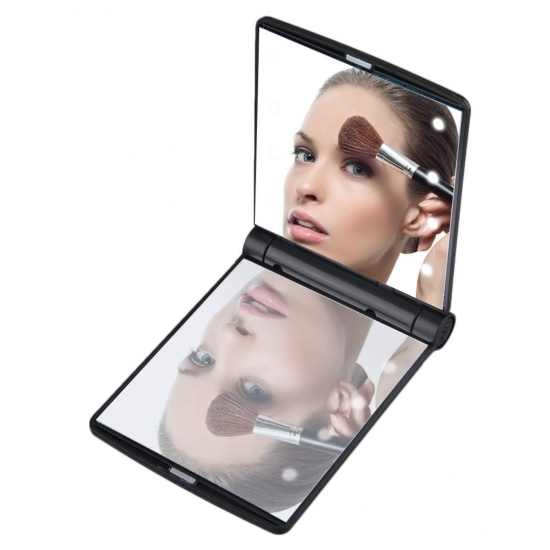 *Use this folding pocket mirror as an ideal make-up accessory. 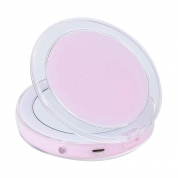 *Eye line drawing, BB cream applicating, other makeup actions, shavoring, contact lens replacing, etc., this mirro always here ready to offer you a clean and brilliant environment whenever or wherever. *Its unique design includes 8 built-in LED lights, giving you the option of doing your make up in low light if needed. 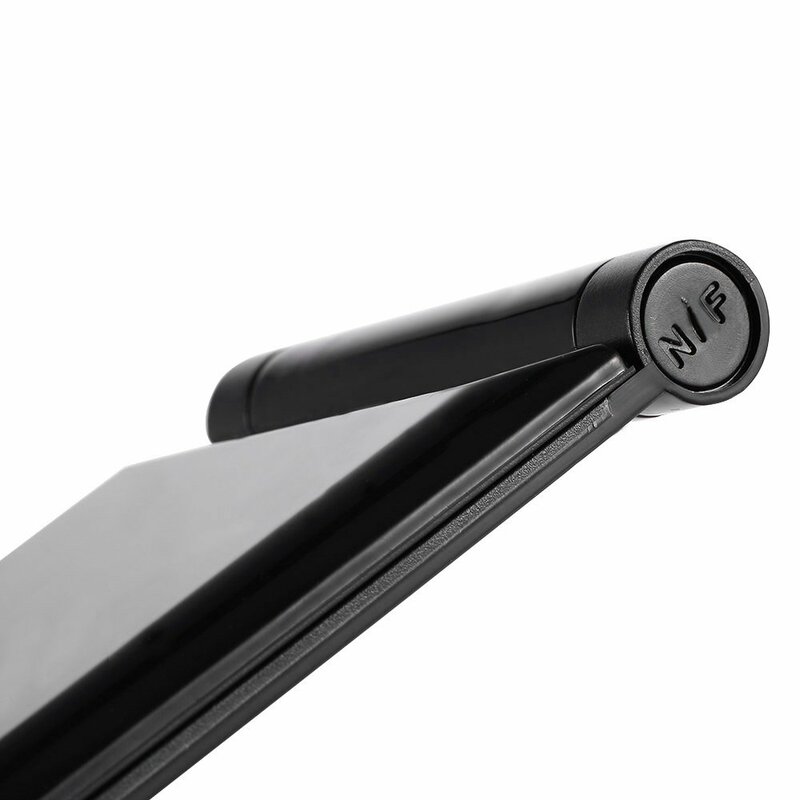 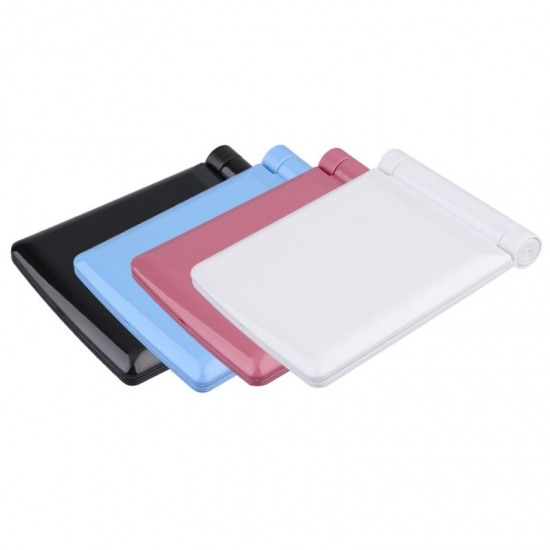 *Having a slim design allows for easy storage in your purse,or wherever you choose. 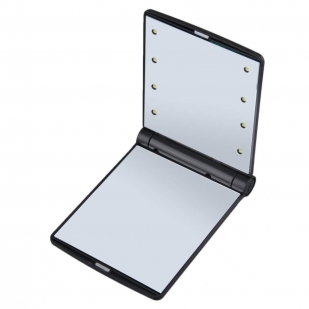 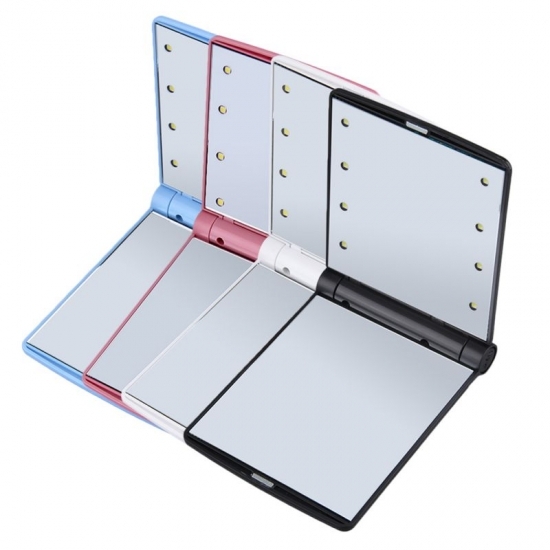 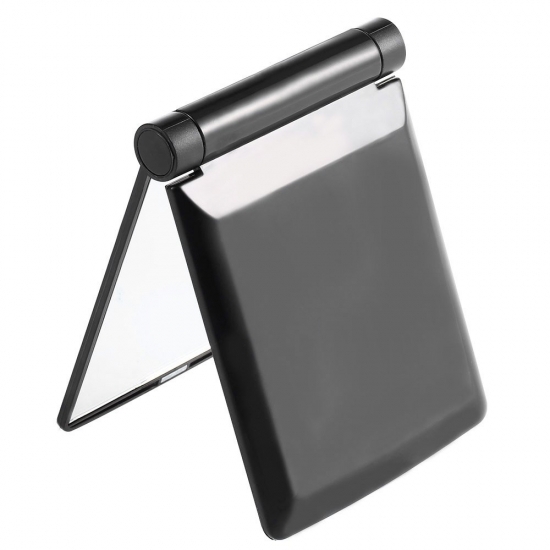 *Foldable 2-sided mirror with magnetic opening.